The AGON AOC AG322QCX is one of the biggest gaming monitors you can get for less than £500, but is it the best? Today, we put this 31.5-inch 1440p 144Hz giant to the test! 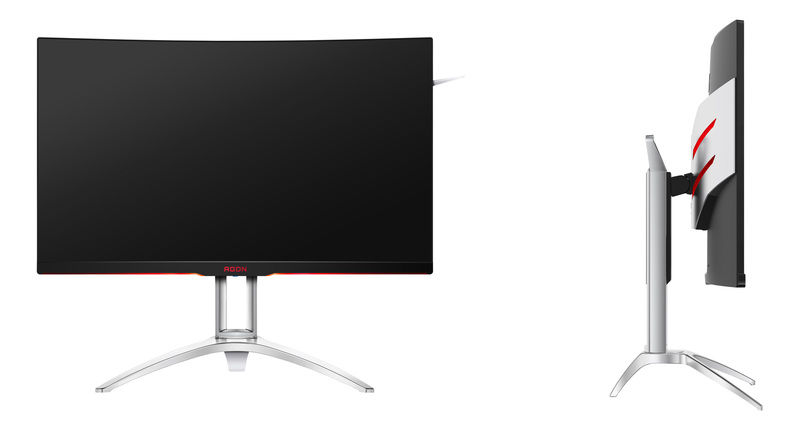 The design of the AG322QCX follows other AOC AGON monitors, with a thin-bezelled panel sitting atop a stylish metal base. Adjustability is good, with options for tilting, swivelling and height adjustment. The whole assembly feels sturdy, and the monitor never feels at risk of wobbling or falling over. A carry handle at the back makes relocating the monitor easier, which is particularly welcome on such a large screen. 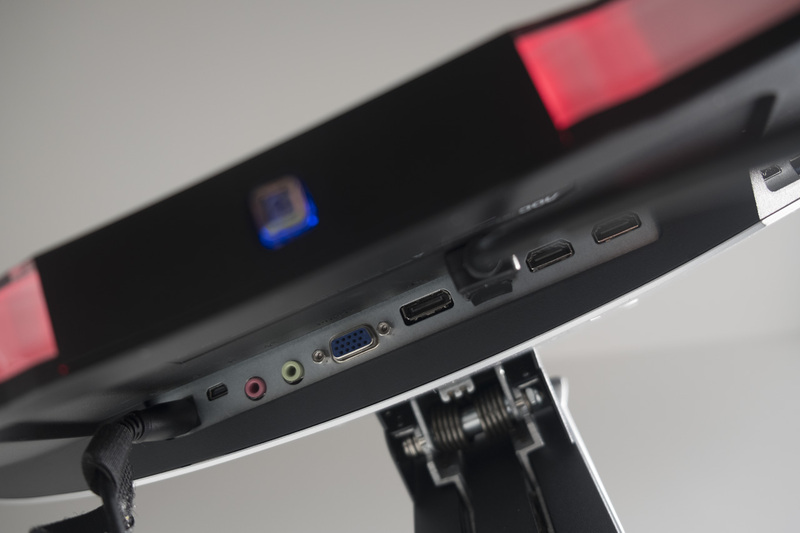 The monitor has three colour LEDs built into the bottom of the base and the back. These can be switched between red, green and blue, dimmed and disabled. The back of the monitor also has a hook for your headphones. 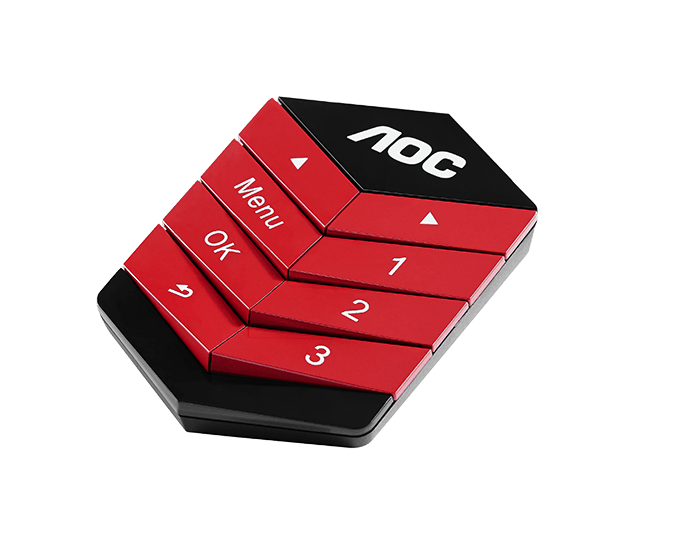 The AG322QCX’s OSD is again standard for AOC, with a four-way joystick allowing for easy selection and adjustment of modes and settings. An optional QuickSwitch controller is also provided for flipping between modes quickly. The monitor has a good port selection, including two DisplayPort 1.2 ports and two HDMI 2.0 ports that support Adaptive-Sync, VGA, two 3.5mm ports, mini USB for the QuickSwitch controller and a DC power input. 5W speakers are also built in, although we don’t foresee them being used too often. We calibrated the monitor to 120 nits brightness, which corresponded to a brightness setting of 44, contrast of 50 and Gamma setting 1. Eco mode was on standard, colour temperature was set to warm, and special modes excepting low input lag were turned off. 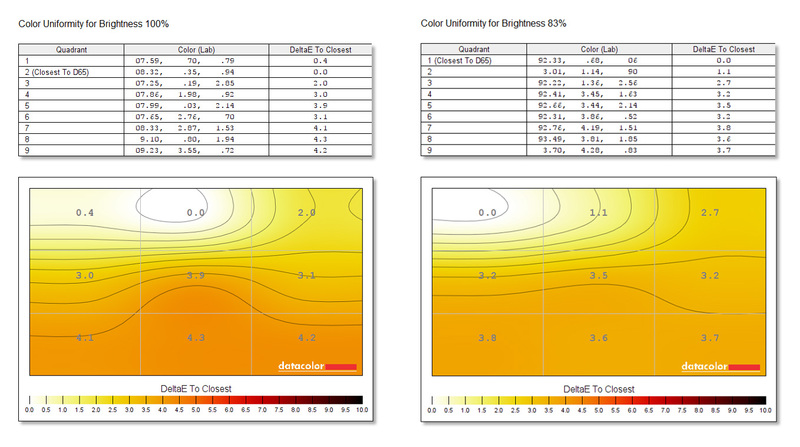 You can download the .ICC (.ICM) colour profile below — it may be a bit better than the default calibration, although doing your own is always the best choice! After our initial calibration, we’re pretty much on target — a little dimmer than hoped, but white points are almost perfect and ΔE (error) values are looking good too. 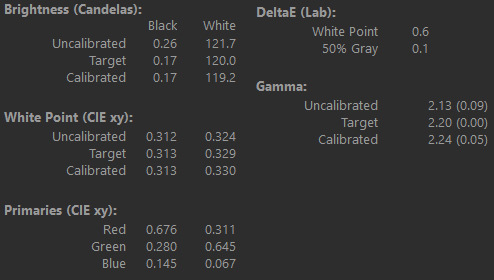 Gamma is a little bit off, at 2.24 instead of 2.2, which we’ll examine in more detail later. Generally though, these are strong initial results. 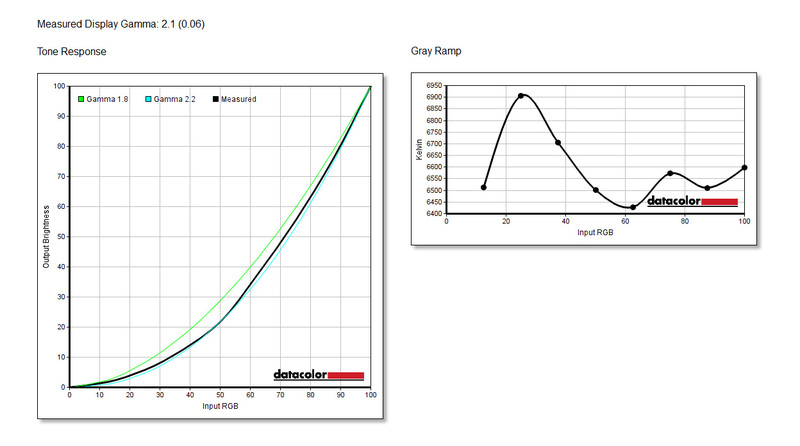 The AG322QCX is able to hit 100% of the sRGB space, along with 81% of NTSC and 84% of AdobeRGB. This is impressive for a gaming monitor, and suggests we may also be able to use this monitor for colour-sensitive work as well. The Spyder4Elite consistently under reads contrast ratios, but based on past results*, I’m happy to state that the monitor is capable of reaching its stated 2000:1 static contrast ratio. This isn’t the highest we’ve seen from a VA panel monitor, but it’s still a relatively high result and should make the AG322QCX a good choice for games with contrasting light ranges (e.g. very bright or very dark). The gamma response curve is interesting, showing a gamma between 2.1 and 2.2 (the other gamma settings are no better, sadly). Normally it’s good to have a strict deviation to the 2.2 standard that we’re aiming for, but this curve shouldn’t present any issues. The grey ramp also seems normal. Colour accuracy is always an important test, so how does the AG322QCX do? Pretty well! We have a ΔE average of 1.45, which is a moderately good result. Greys are the noticeable outliers (along with our favourite teal 1F), with the other shades chosen showing little inaccuracy. 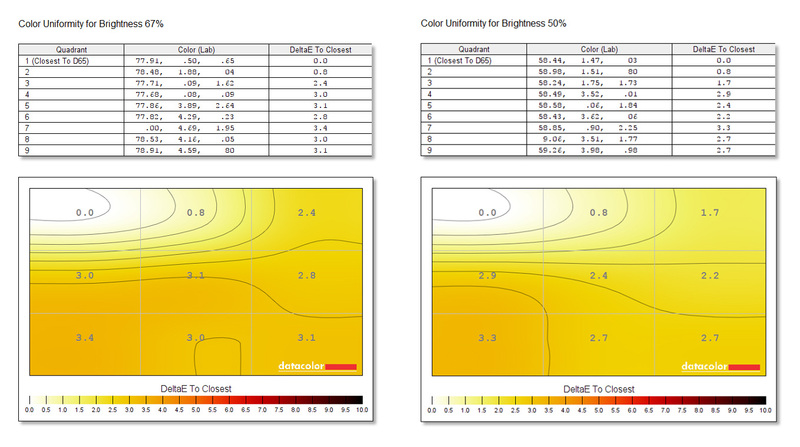 Colour uniformity is also important, and here things are also good but not great. We see that ΔE values deviate considerably towards the bottom of the monitor, although at more reasonable brightness settings this is minimised somewhat. However, even at 50% brightness, deviations in the lower left corner are still at a level that could be easily distinguished by eye. 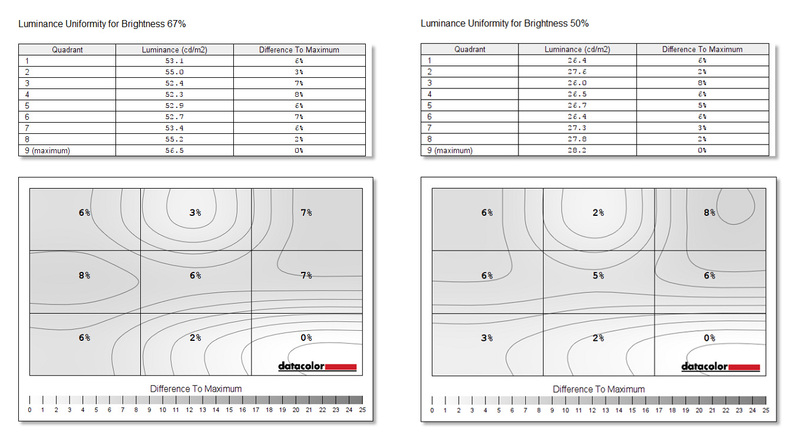 While colour uniformity isn’t great, luminance uniformity is quite good as you can see from the contour maps below. 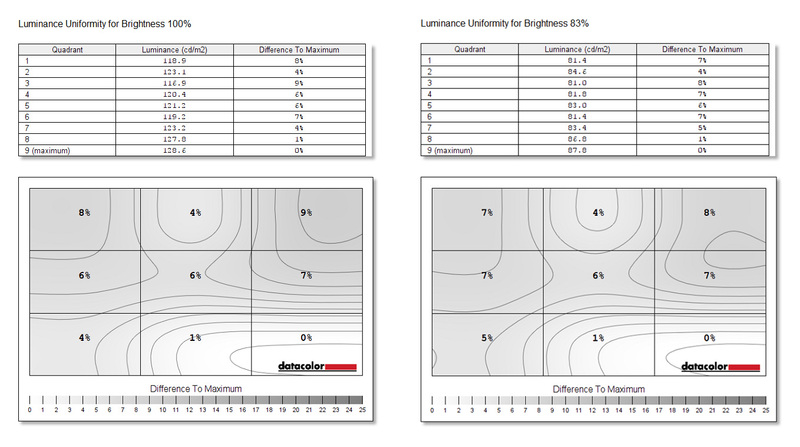 Error values are consistently less than 10%, improving to less than 7% at 50% brightness, showing that the screen’s brightness is rather consistent throughout the panel. 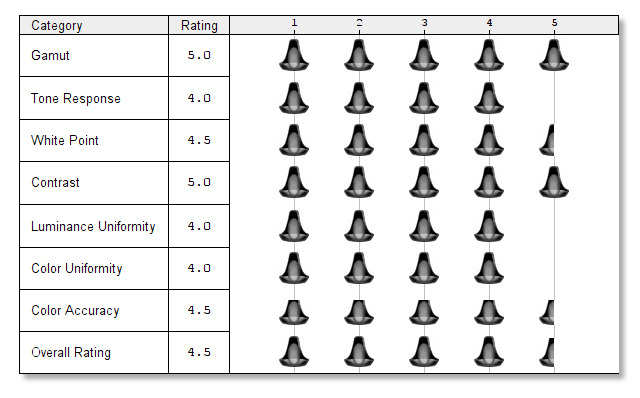 Finally, we have our monitor rating, as determined by the colourimeter software. I generally have higher standards for colour uniformity, but otherwise tend to agree with these, and that holds true for the AG322QCX. We have excellent gamut and contrast ratings, great colour uniformity and white point, and the remainder of the categories are still good. 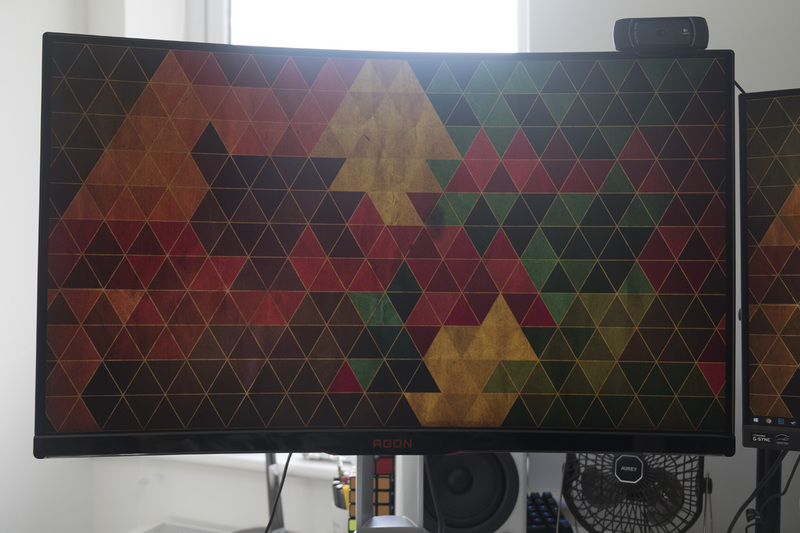 Overall, it’s an impressive result that shows this monitor could be used for colour-sensitive work with a little calibration, although professional-minded IPS monitors may still be more suitable. Here are my impressions of the AG322QCX after using it for a happy two week period. During this time, I played games, watched Star Trek and did my work (whenever my wife was in the room, at least!) — here’s what I think! Gaming is a treat on the AG322QCX. 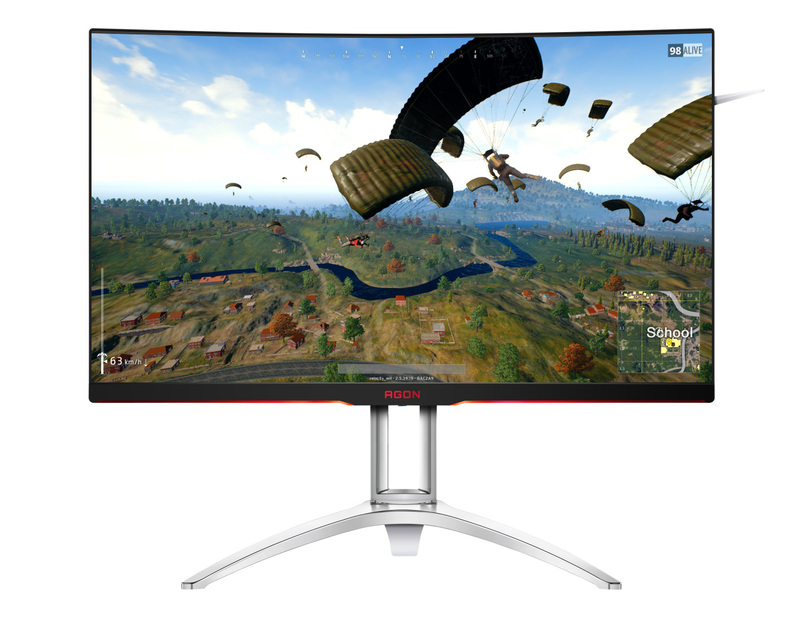 Other monitors can have higher resolutions or refresh rates, but 1440p at 144Hz remains an excellent middle-ground choice, suitable for a wide range of games from fast-paced competitive shooters to more languid RPGs and strategy titles. You will require a decently strong computer to run modern games at a happy frame rate, but the results are certainly worth the investment. The monitor’s curved frame is suitably immersive, particularly for games like Prey or Dishonored where danger lurks around every corner, and the strong contrast ratios allow dark areas to be suitably spooky. However, you can also make use of features like shadow control, which lighten darker areas to make spotting enemies easier. Similarly, vibrance controls make things more colourful in drab shooters from the 2000s onward. 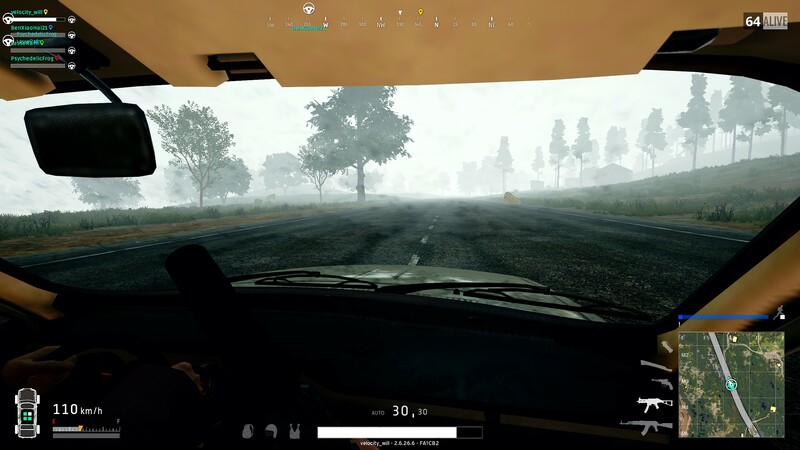 I’m unable to test Adaptive Sync as our test rig uses Nvidia rather than AMD graphics, but red team players should enjoy reduced screen tearing without the traditional downside of significant added visual lag. 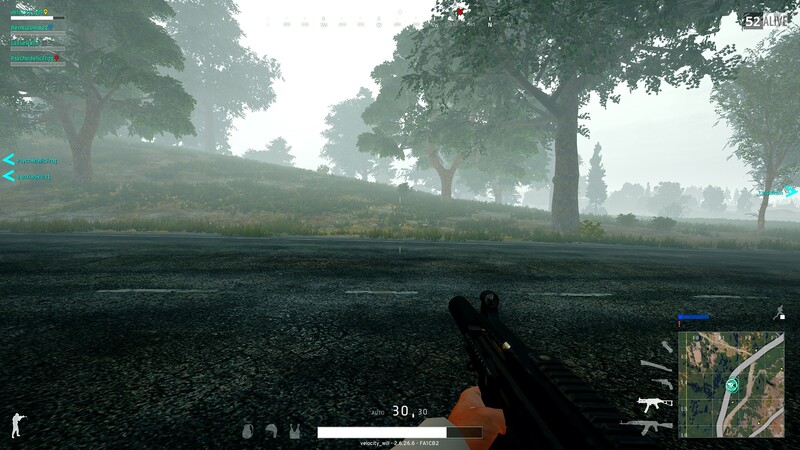 You’ll probably want to go without any kind of synchronisation if you’re aiming for 144Hz, but the benefits are more clear-cut between 30 and 60 frames per second. The only real criticism I can level at the AG322QCX is that sometimes 32 inches feels too big. Civilization VI at 32 inches is great fun, as you watch your burgeoning empire spread across the globe, but more frantic titles like PUBG and CS:GO require you to turn your head left and right to check your flanks — more immersive, sure, but not exactly helpful for spotting sneaky enemies. The AG322QCX is a surprisingly good choice for Photoshop, thanks to its great colour accuracy, reasonable colour uniformity and expansive 1440p resolution. IPS monitors at 4K are probably the ideal, but if you want one monitor that does both play games and handle image or video editing, the AG322QCX won’t steer you too far wrong. Similarly, watching films and TV shows is a treat on the AG322QCX. The monitor’s good contrast levels make it suitable for watching horror movies and other low-light content, while the wide curved display brings you (sometimes uncomfortably) close to the on-screen action. Again, 4K monitors will provide better clarity with suitable content, but you can certainly get a nice home cinema experience here. I watched the new Star Trek series on the monitor and was thoroughly entranced, although it’s a little hard to tell how much was the monitor and how much was the bizarre new-look Klingons! The AG322QCX is a very fun monitor to use, whether you’re watching films, playing games or even geeking out in Photoshop. At its £470 price point it’s not a cheap option, but it is pretty darn affordable when you consider that you’re getting a 32-inch curved monitor with smooth 144Hz visuals and sharp 1440p resolution. Its strong benchmark performance and our joyful impressions leave us no choice but to give it our warm recommendation.